Avoid Basement Flooding with wifi Sump Pump Battery Backup. It's Smart. Whether you travel or not, battery backup sump pump systems great peace of mind. Most homeowners don’t think about their sump pump, but when the consequences of unexpected pump failures are understood, the solution seems simple. During any season, a power outage can cause the sump pump to stop removing the water from the pit. In a short time this can cause the water to overflow into the basement. A Battery Backup Sump Pump System will help protect the basement from water damage by kicking into action during power outages or primary sump pump failures. 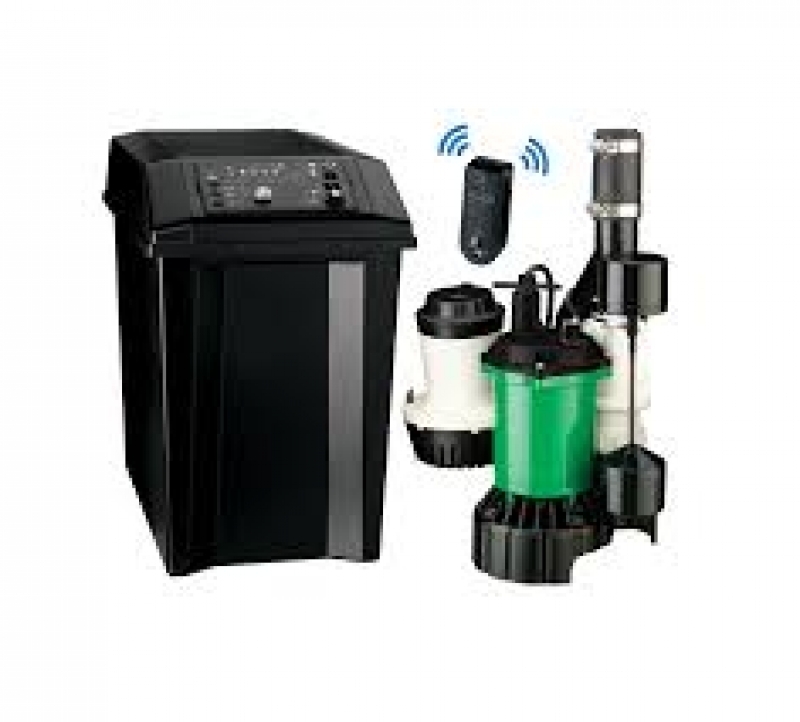 The one we recommend in the Hydromatic FG3100 Smart Battery Backup Sump Pump System as it is available with remote monitoring, smart charging technology, and dual battery capacity. Link2O™ - This cloud-based technology continually monitors the backup system and sends text or email alerts if problems are detected. Smart Battery Backup Sump Pump System key features are the wireless internet connectivity, feature-rich web and mobile interface, 2-Way Communication - Issue Test Cycles and Receive Confirmations with Proactive Text and E--Mail Alerts Delivered to the Homeowner, the Plumber, or Family Member. compact design eliminates interference with primary pump switch.